Hi everyone! Today I have the utmost pleasure of sharing something I’ve been excited about for the past year. Over a year ago I won an epic contest held by one of my favorite authors, Paula Stokes. The best prize ever? Getting to read an early copy of her upcoming novel and naming a character! It was still in the early stages and even had a different working title than it has now. It was such an exciting honor and privilege. I’ve never read something so early on and going back and reading the final version a year later was very cool. I didn’t think I could love it more but everything came together perfectly and the story flowed beautifully. 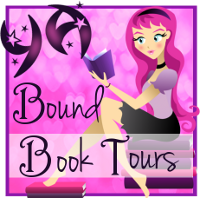 So today I have a guest post from Paula Stokes on how things changed during her revisions. Paula: Hi. 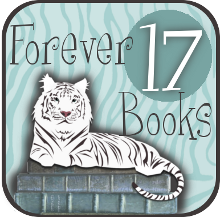 It’s always great to be here on Forever 17 Books. Sara (and her tiger!) are long-time supporters of my work, and Sara actually won a contest I ran where she got to name a character in Girl Against the Universe. Because of this, she read the draft of the story that I sent to my editor back in December of 2014. The story has changed a lot since then. I mean 160 pages of deleted scenes a lot. I thought it would be fun to talk about some of the major revisions here, since Sara is one of the only people who’s seen the submission draft. But one thing I’ve learned is that the people who work for publishers have generally been in the business longer than me and they have skill sets I don’t have. The fact is, Bad Luck Charm does sound a bit middle-grade—there’s even an MG book on Goodreads with “Bad Luck Charm” in the title—and once I got over my stubbornness it was easy to see that my editor and her boss were right. So I did my best to come up with an alternate title, brainstorming a huge list of things, and even asking for help on Twitter! (Thanks, Liran ;D) I came up with the eventual title, Girl Against the Universe, myself, and in retrospect I’m so grateful for this switch because it guided my revision when it comes to the next major change. The original draft of the book was pretty fluffy considering all of the bad things that had happened in Maguire’s past. I originally set out to write something that was similar in feel to The Art of Lainey, but with deeper meaning and less predictability. The story I sent my editor did not include a psychologist. It was structured more so that Maguire struggled with her PTSD and anxiety on her own (and with book-boy Jordy) for most of the story, and then one of her realizations at the end was that she needed to talk to a professional therapist. A lot of YA books go this way and I think that storyline could’ve worked. But when my editor asked: “How do you feel about deepening the mental health aspects? Keeping the fun and romantic moments whenever possible, but making this a more serious book about mental illness that will really reach out to kids who might be struggling?” (Have I mentioned that my editor is brilliant?) I was excited by the possibilities. It meant a lot of rewriting and some additional research, but I do think the end product will appeal to the masses as a funny and empowering story with a side of sweet romance, while speaking to people struggling with anxiety disorders on a deeper, more meaningful level. I’ve never considered myself a character-driven writer, but there’s no denying what stands out about this book is the characters and the way they interact with each other. Because I fell in love with each of them—even somewhat prickly Kimber—in the first draft I gave the side characters too much story. Jade was rebelling against overprotective parents. Penn was questioning her sexuality and got caught experimenting. Kimber was worried about her future as a tennis player. All of these things still fit those characters, and I believe they still happen in the book’s white spaces. But exploring them in depth would have meant adding a hundred more pages to an already long contemporary, so I cut them to streamline the plot and keep the narrative focused on Maguire. After all, it is her story. Perhaps the most painful thing for me to realize was how passive Maguire was in my first draft. Admittedly, someone who has isolated herself from the world because she’s afraid she might cause a terrible accident is going to have some issues with taking control of her destiny. However, the major problem was that Maguire needed a reason to test her bad luck, and in the first draft that reason was Jordy—not because she wanted to date him or anything, but just because he found out about it and almost dared her to do it. He was the first person who had called her out on her behavior and the first person who made her feel like she had something to prove. So because testing her luck was Jordy’s idea, he was involved in a lot of the challenges. And even though I was careful to make the decision to complete each challenge Maguire’s own choice, independent of Jordy’s opinions, my editor still worried that it felt a little like he was “fixing her.” And even though I had access to all of Maguire’s thoughts and feelings and knew that totally wasn’t the case, I realized that what I had put on the page wasn’t enough for readers to follow my thought process. Deciding to put her in therapy from page one helped fix Maguire’s lack of agency in a major way because therapists don’t do the work for you. Maguire makes the decision to participate in therapy and, guided by Dr. Leed, she comes up with the list of challenges. I also gave her a very real reason to want to get over her fears, a reason with an expiration date, which means she has a limited time (but still several months) to work through her fear of being a bad luck charm. I also made other small changes to increase Maguire’s agency. There’s a rock-climbing scene at Joshua Tree National Park in both drafts, but in the first draft, Jordy is the experienced rock-climber and Maguire is climbing for the first time as one of her challenges. In the finished book, Maguire used to climb with her dad, brother, and uncle before they died, and she knows more about climbing than Jordy. One of the last challenges is the same in both books, but in the first draft, Jordy takes her to do it. In the finished book, Maguire decides all alone to do it, and recruits her new friends from the tennis team to go with her. I first read Girl Against the Universe over a year ago under the working title, Bad Luck Charm. It was in the very early stages but I instantly adored the characters and the story. Re-reading the final version a year later has been such an experience. I’m not a huge rereader but this was a whole different experience because the story had evolved. Details are not my thing so a year in between reads left it a little hard to pinpoint all the specific changes but a few definitely stood out. Once I picked up my new copy the excitement came back to me. Everything felt smoother and more refined. The flow had changed. And even though the specific details were fuzzy, I could feel the difference in the vibe. I honestly didn’t think I could love it more than I did the first go around. Ah! So exciting!! I bought a copy a couple of weeks ago but I haven’t read it yet. I’m dying to, though!